Choose When To Be In With Our Flexible Delivery Options at the Checkout! Do you know a keen twitcher or proud gardener that loves nothing more than to survey there garden in all its glory? 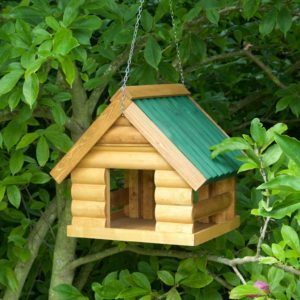 Or are you in need of a meeting place in your garden for the flying variety? 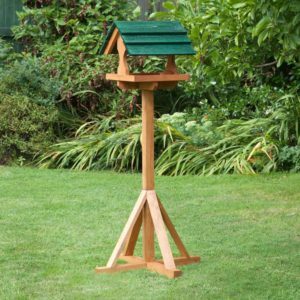 The Maypole Flatpack Birdtable is a flexible easy to use birdtable that will make a perfect gift or why not spoil yourself and let your wild garden birds enjoy your generosity. 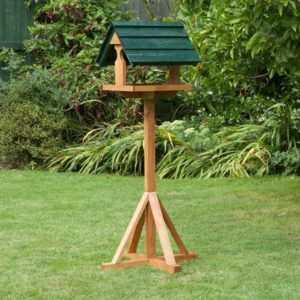 There’s nothing better to waking up to a songbird in the morning, so why not pay them for their services with this excellent bird table. 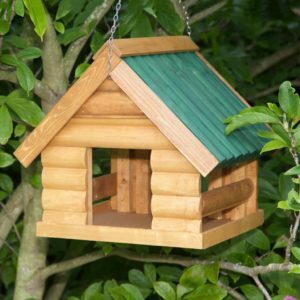 Wild birds add so much more to your garden than their beautiful sounds, wild birds also bring life and colour to your garden and the best way to keep the party going is to feed your guests. 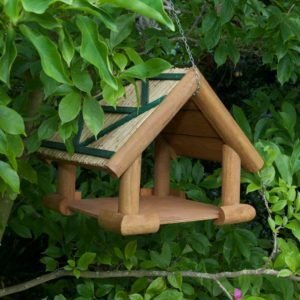 By providing a feeding station your also doing your bit for the environment. A growing number of birds frequently seen in Western Europe are dying out and due to changes in the countryside and landscapes are being seen less and less. 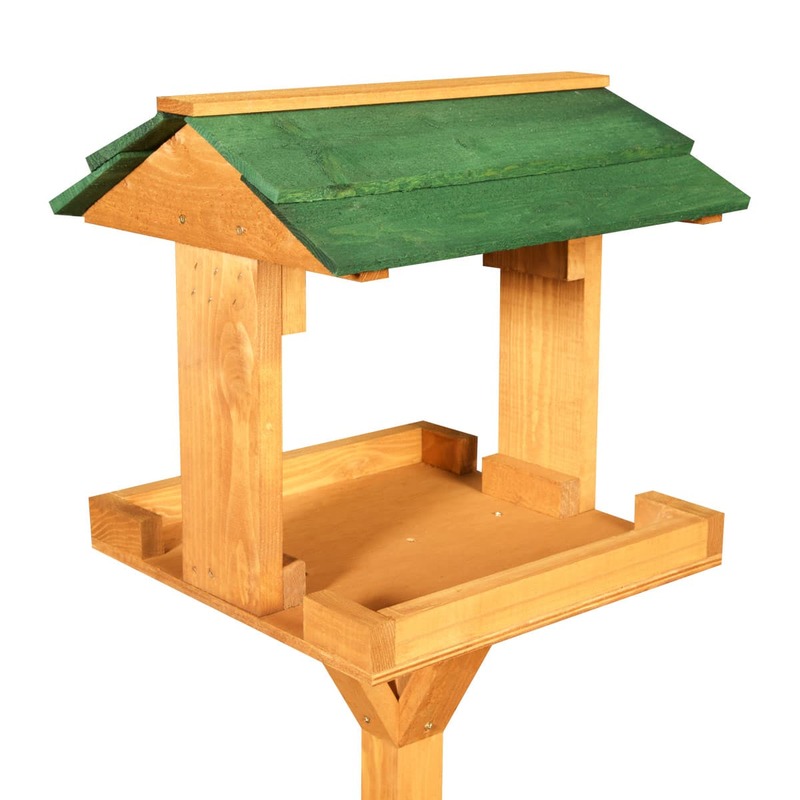 The front line of this battle is every garden with a birdtable. 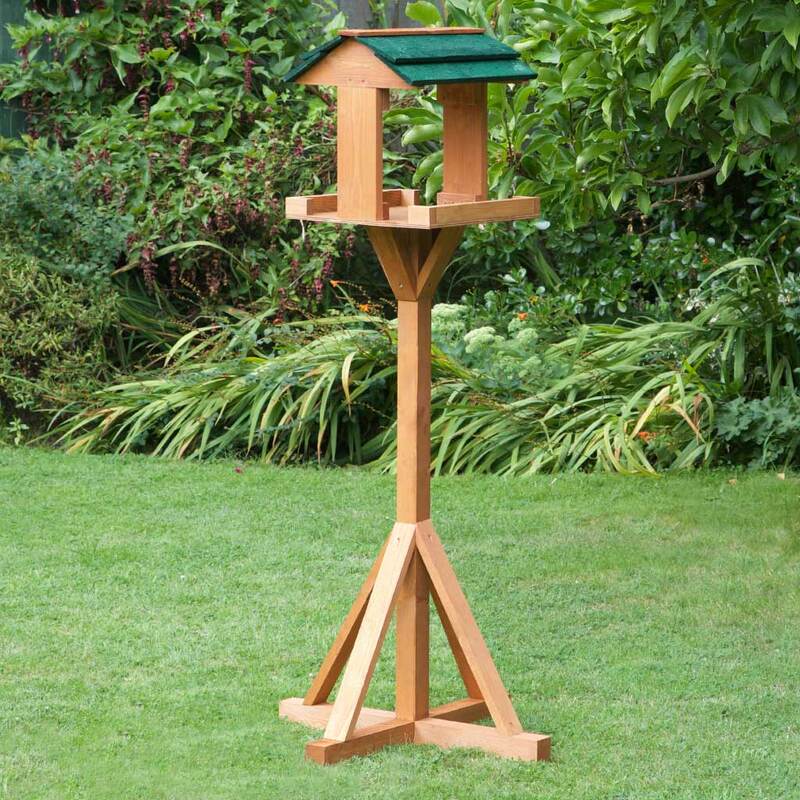 By purchasing one or number of these excellent and affordable Birdtables, you’re helping out the local wildlife and adding a stylish accessory to your garden. 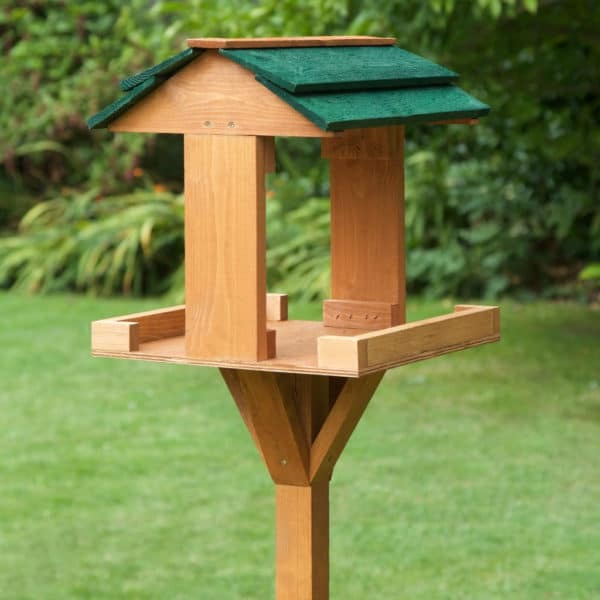 Many of our thoughtful clients choose to have more than one Maypole Flatpacks, this increase the number and the diversification of birds that they have visited them. From the feedback we’ve received, the consensus seems to be that the more locations around your garden you have, the less likely, the more significant birds will frighten off the smaller giving all types a chance feed. 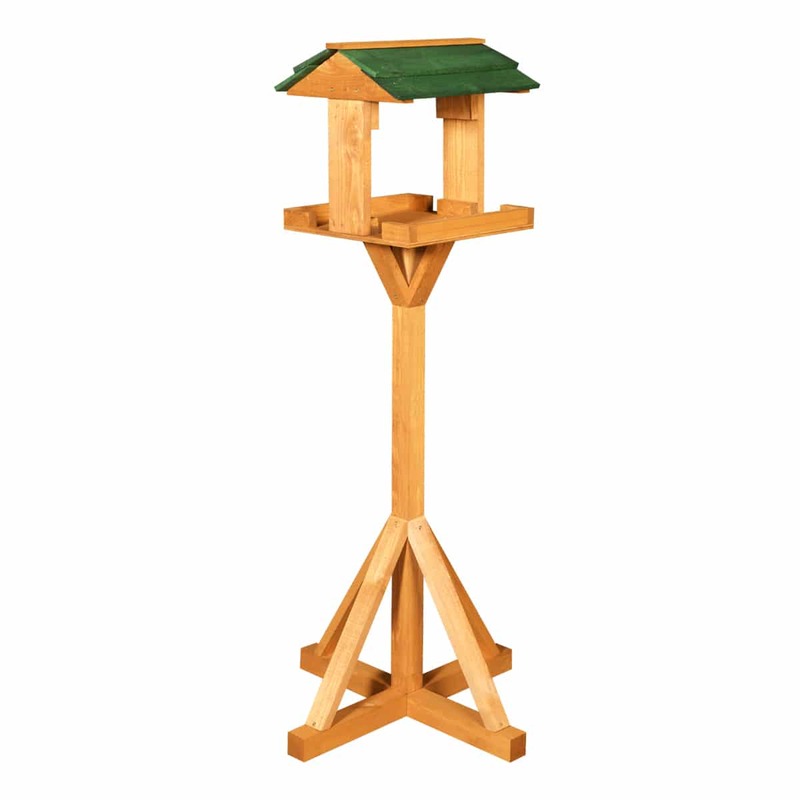 You won’t be surprised that the Maypole Flatpack Birdtable comes delivered, flat-packed. But fret not! 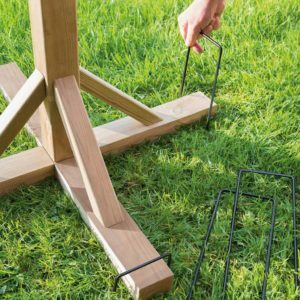 Here at Home and Roost, we have a team of flatpack illiterates that shudder of the very term “self-assembly”, and it’s with this crack team of dunces that we test every set of instructions. If our Z Team can’t put it together, then it’s soundly rejected. 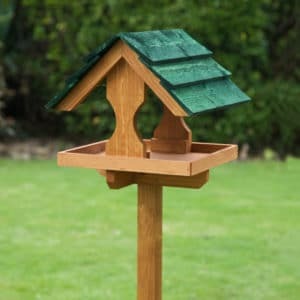 And we’re happy to say that the Maypole Bird table came through with flying colours and is quickly put together with minimum tools and effort. 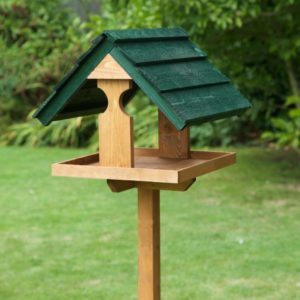 After placing your new feeding station in your garden and encouraging the local wildlife to stop by, you’ll want to check every now and again to top up on food and do some general cleaning. Any rotten or regurgitated food should be cleaned off and replaced with fresh. 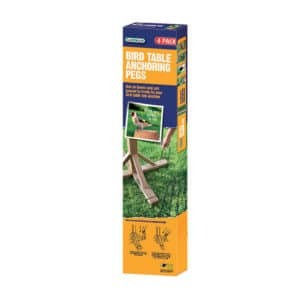 A stiff brush is ideal to sweep bird droppings, waste or cobwebs away that can build up over time. The amount of garden space in the UK is enormous! If you grouped them up it would be bigger then all the nature reserves combined. 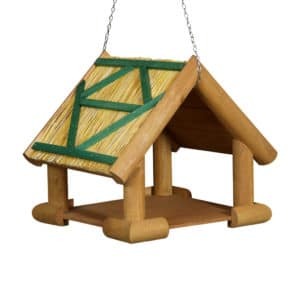 Hanging Bird feeders are great, and a worthy addition to any garden, but some wild birds prefer to eat off the ground, which can open them up to predators. 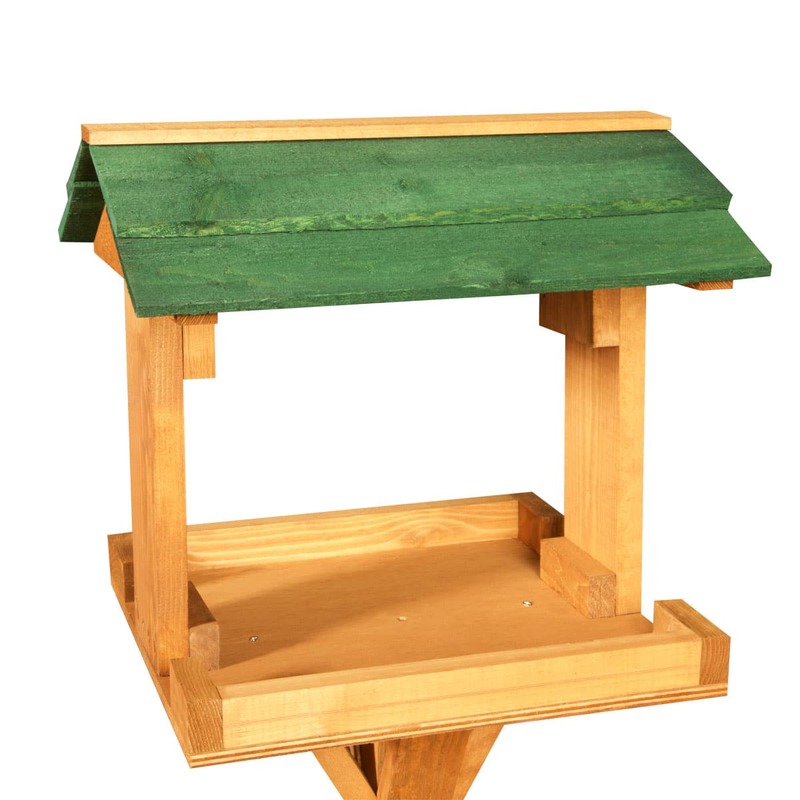 Our birdtables provide a feeding platform up of the garden floor giving our little-feathered friends a safer dining experience.